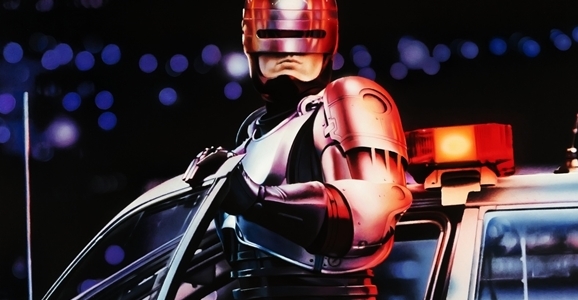 Like it or not, the RoboCop remake is actually happening. Originally slated to hit theaters last August, director Jose Padilha’s (Elite Squad) update has been postponed and pushed back multiple times, finally landing in the notorious cinematic dead zone that is early February. While that doesn’t bode well, the studio claims the delays had nothing to do with the quality of the film, but that they needed the extra time for some final tweaks. Reactions to clips and trailers have been mixed at best. On the other hand, early responses from those few people who have actually seen the movie have been far more positive than most of us expected. Paul Verhoeven’s 1987 RoboCop is an ultra-violent, neo-noir classic. 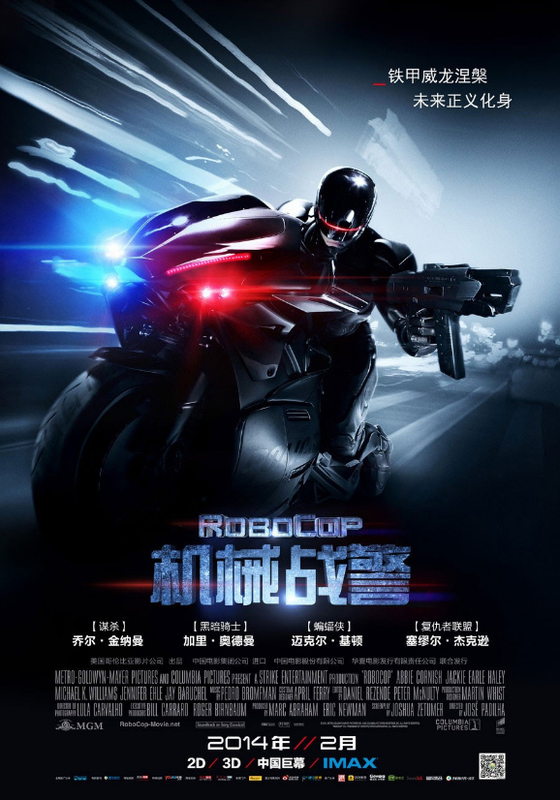 Though the remake tells the same basic story — in the future, Detroit is infested with crime, and when a cop named Alex Murphy is almost killed in the line of duty, an evil corporation brings him back as a cybernetic crime-fighting machine — Padhilha and company, including star Joel Kinnaman (The Killing), are at least trying to do something different. During the doldrums of winter, there are not many high-quality movies opening in theaters. While we can still watch Academy Award-nominated movies such as Gravity, Her, American Hustle, and 12 Years a Slave in theaters, the new pickings are mighty slim. While Jack Ryan: Shadow Recruit failed to hit the mark, the new RoboCop remake could be the first hit action blockbuster for the new year. With only a few weeks until it’s release, Sony is pushing RoboCop for a big opening weekend, releasing two new clips and an IMAX poster. With the remake due in just a few weeks, we’ve been talking about RoboCop a lot here at GFR. How will it compare to Paul Verhoeven’s brilliantly bloody original? Will it be a good movie on its own terms? Will it maintain the original film’s pitch-black sense of humor or will it suffocate under the weight of its own earnestness? How come Murphy’s face doesn’t have that cool thing where it looks like they just stretched the skin over a fully mechanical head any more? We’ll get answers to those questions and more when RoboCop hits theaters on February 12, but in the meantime, why not rewatch the original in ridiculous quality? Okay, so you’ll need a fancy 4K television to get the best of the best, but if you’re an early adopter then you can now pick up a “4K Remastered Edition” of RoboCop so you can make all your friends jealous of your home entertainment setup. Just remember, it’s not nice to rub that sort of thing in everyone’s faces. And by “that sort of thing” I mean “Murphy’s bleeding hand stump in 4K.” That’s just gross. Jose Padilha’s RoboCop remake is one of those movies that I tend to forget about. I forgot it was happening, forgot it was supposed to come out, forgot it’s been delayed a number of times. Every time a new clip or photo or poster comes out, I have to remind myself that this film actually exists and is happening. When I do remember it, the film feels like it’s looming off in the distance somewhere, not about to fall right in our laps. But it comes out February 12, which is right around the corner, and I should prepare myself for that. Just the other day, we got a new clip to pour over, and to augment that, we’ve got a brand spanking new TV spot. This new video gives you a bare bones overview of the plot. There’s a half-man, half-machine cop who is the first of his kind unleashed on the crime-ridden streets of Detroit. On the surface he’s a force for good, but his creators may have had something else in mind when they made him, and whatever it is, he’s going to have to sort it out. In this case, sorting it out looks like it involves a great deal of motorcycle riding, numerous explosions, and more than a few bullets. I believe we can now officially refer to the marketing campaign for José Padilha’s RoboCop as a “blitz,” as I can’t seem to get online, watch TV, or step through the front doors of OmniCorp without seeing a trailer, image, or poster for the reboot. A new clip has surfaced, and it’s been loaded into a gun and blasted out all over the Internet for everyone to see. And I have to ask: was anyone else experiencing the same problem with suspension of disbelief? This is almost entirely trivial, sure, but I’ve been trying to wrap my mind around this movie in a way that doesn’t involve me constantly making comparisons to Paul Verhoeven’s original film. And while it’s almost impossible to do without actually sitting through the whole feature myself, I thought maybe watching this clip would do it for me. 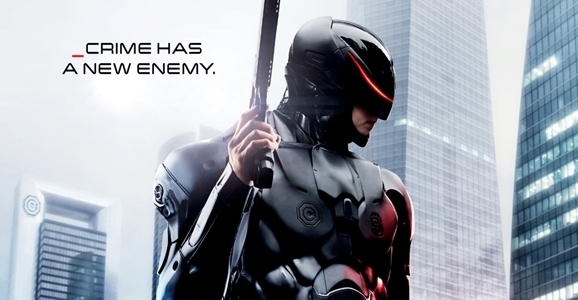 Believe it or not, the new RoboCop remake opens in theaters in about three weeks. We can finally see whether director José Padilha’s new take on the RoboCop story is worth watching, or if it will join a long list of mediocre remakes such as Straw Dogs and Total Recall. While it’s doubtful that the new version of RoboCop will be better than Paul Verhoeven’s 1987 original, we can only hope the film will give us a a fresh take on the source material. From everything we’ve seen, in terms of promotional material, it’s doubtful. Now Sony has released a new TV spot and international poster into the mix.